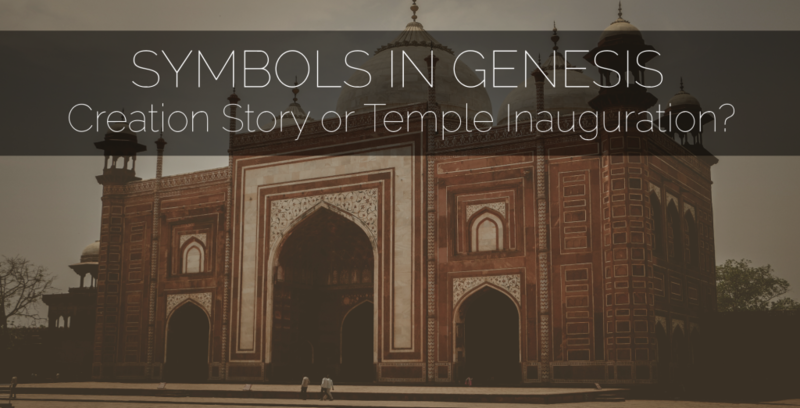 Symbols In Genesis: Creation Story or Temple Inauguration? We live in the 21st century and see the world through a very unique perspective compared to most of human history. We have visited the moon and seen the world from outer space. We can travel around the entire globe in a commercial airplane in just 47 hours. And yet, just a few hundred years ago, the world was still believed to be flat! Imagine living in a world with no cars, where your day-to-day existence was constricted to a few miles and the furthest you’d ever travel was probably just a few towns over. It’s difficult to imagine how fundamentally different your perspective would be, and at this point, we’re talking about barely over 100 years ago. It becomes increasingly difficult to place ourselves in the shoes of our predecessors the further back we go. And yet, when we open up the Bible, that’s exactly what we have to do… at least, if we hope to genuinely understand its message. It is with this in mind that we are going to look back 3,000 years to when the author of Genesis gave us the creation story. We are going to seek to understand what the recipients of this book believed about the world and how they would have received the creation story. How we will we accomplish this? By using the symbols and language used during this time period.